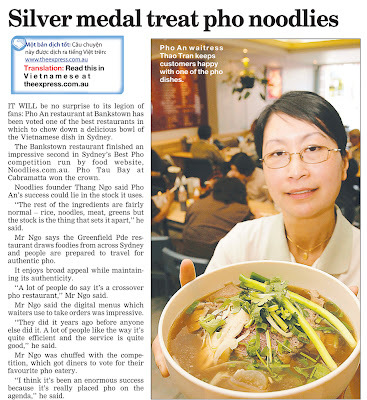 Where did Pho An place in Noodlies Sydney’s Best Pho? Chinese New Year – is this inclusive? Pho Tau Bay all the way!! im surpirsed pho an came 2nd. Surprised this one did not place first! Pho An to me isn’t the best in taste but the restaurant is quiet, fast service, cleanliness and people feel they are in a restaurant rather than a “take away” hut, many aspect that make people fall in love and want to come back….but definitely it is not the best taste of Pho.